Key difference: C++ is a general-purpose programming language. It is also developed from the original C programming language. 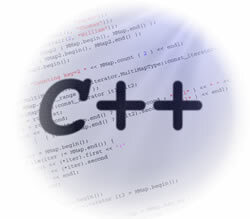 C++ is a statically typed, free-form, multi-paradigm and a compiled programming language. Python is another programming language. However, it is quite different than C++. 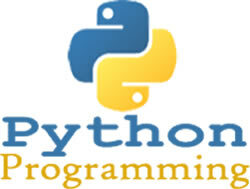 Python is a general-purpose, high-level programming language. Python is considered to be cleaner and more direct, with emphasis code readability. Python is another programming language. However, it is quite different than C++. Python is a general-purpose, high-level programming language. Python is considered to be cleaner and more direct, with emphasis code readability. An advantage of Python is that its code is quite shorter than most other programming languages. This allows programmers to express concepts is fewer lines of code than in C or C++. Python's language provides constructs. These constructs are intended to enable clear programs on both a small and large scale. Another advantage of Python is that it multiple programming paradigms, including object-oriented, imperative and functional programming styles. It features a dynamic type system and automatic memory management. It also has a large and comprehensive standard library. All of which helps improve Python’s usability. Also, python interpreters are available for many operating systems. Python is a dynamic language and like other dynamic languages, it is often used as a scripting language. However, it is also often used in non-scripting contexts. Furthermore, Python code can be packaged into standalone executable programs by using third-party tools. Python uses Garbage Collection whereas C++ does not. C++ is a statically typed language, while Python is a dynamically typed language. Python is easier to use than C++. Python is run through an interpreter, whilst C++ is pre-compiled. Hence, C++ is faster than Python. C++ supports pointers and incredible memory management. Python supports very fast development and rapid, continuous language development. Python has less backwards compatibility. Majority of all applications are built from C++. Majority of all 3D applications offer Python access to their API's. Python code tends to be 5 to 10 times shorter than that written in C++. In Python, there is no need to declare types explicitly. Smaller code size in Python leads to leads to "rapid prototyping", which offers speed of development. Python requires an engine to run. Python is interpreted each time it runs. Python is hard to install on a Windows box and thus makes distribution of the program problematic. C++ is a pure binary that links to existing libraries to assist the coding. In Python, variables are in scope even outside the loops in which they are first instantiated. In Python, a function may accept an argument of any type, and return a value of any type, without any kind of declaration beforehand. Python provides flexibility in calling functions and returning values. Python looks cleaner, is object oriented, and still maintains a little strictness about types.